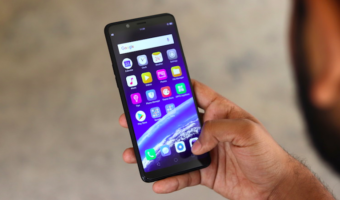 In a radical move to boost the EVDO Data and Mobile services India’s National Telecom backbone Bharat Sanchar Nigam Ltd (BSNL) today announced the pan-India Launch of EVDO enabled R-UIM/SIM card with all India Roaming facility (except Mumbai/Delhi) over its CDMA mobile services. BSNL’s RUIM/SIM Card (Removable User Interface Module) can be used with any CDMA phones as well as EVDO enabled OMH-capable handsets like Samsung Corby TV, LG 510 and Blackberry 9630 to access High Speed Data services up to 3.2 Mbps and Voice calling subscriber can also use the RUIM card with any EVDO Data cards as their requirements. BSNL’s New RUIM prepaid card comes with life time account validity and 3 different inbuilt tariff plans. RUIM with basic Plans comes at Rs.39 with talk time of Rs.10 wherein subscriber can make local calls at 60p for Own Net and 90p for off net. While RUIM-Pay Per Second comes at Rs.81 with talk time of Rs.25.With this all local and STD calls will be charged at 1p/sec. 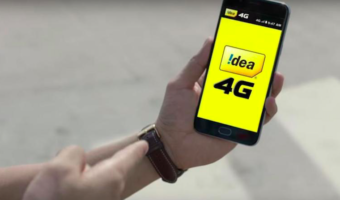 The 3rd [email protected] will cost at Rs.87 with talk time of Rs.35.With this subscriber can make Local and STD calls to any network across India at 49p/min. The High Speed Data access charges with all above 3 EVDO enabled RUIM card will be just 5 paisa for 100 KB in day time usage (7.00 AM to 11.00 PM) while in Night hours (11 PM to 7 AM) subscriber can enjoy data access just at Half rates. 1. Lifetime validity means the license period i.e. Feb-2020 or upto renewed license period. To continue with lifetime validity benefit, recharge/top-up with minimum of Rs.200 in every 180 days will be required. 2. RUIM would be 1X and EVDO enabled and can be used all over India (except Mumbai and Delhi). 3. Normal CDMA prepaid recharge and top-up vouchers will be applicable as customers choice. 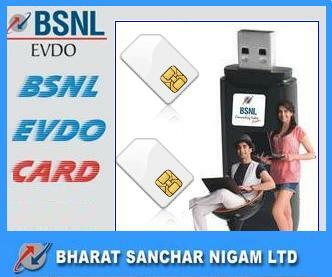 i am using bsnl evdo dongle provided with the cdma sim and its working good, i also have an android phone i.e. Micromax Canvas Duet 2 eg111 (GSM+EVDO) phone in case to run that cdma sim in my mobile and to use that evdo internet in my phone. Situation is that when i insert my cdma sim in the phone, both evdo and 1x signals are shown and are strong but when i connect to internet only 1x connects, while in my evdo dongle i am connecting evdo easily, my plan is postpaid 3.1 mbps 750/-. Kindly sort my situation.